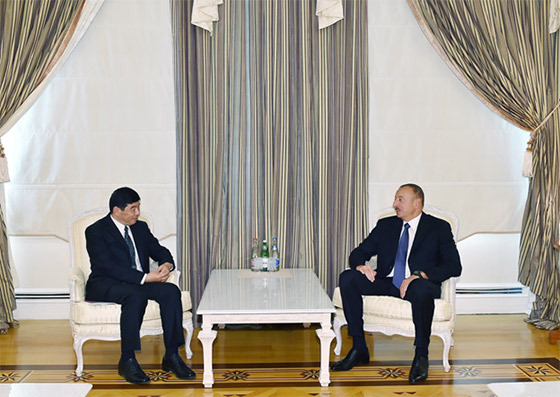 President of the Republic of Azerbaijan Ilham Aliyev received World Customs Organization Secretary General Kunio Mikuriya in Baku, Azerbaijan, on 7 September 2015.
reforms had been conducted in Azerbaijan to facilitate Customs procedures. President Ilham Aliyev said that Azerbaijan had hosted a number of Customs-related events, underlining the significance of the fact that the World Customs Organization`s 10th PICARD (Partnerships in Customs Academic Research and Development) Conference would be held in Baku. WCO Secretary General Kunio Mikuriya emphasized that the volume of goods passing through Customs was increasing, adding that it was important to increase professionalism in this area. 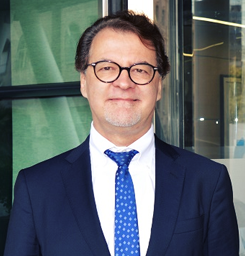 He said that international transportation management issues were of profound importance in many countries, and expressed confidence that the World Customs Organization`s 10th PICARD Conference, in Baku, would contribute to efforts to address these issues. Mr. Mikuriya thanked President Aliyev for supporting Customs. A new WCO Regional Canine Training Center was inaugurated in the Azerbaijani capital, adding an additional wing to the existing regional structures present in Baku, i.e., the WCO Regional Training Center (RTC) and Regional Office for Capacity Building (ROCB).